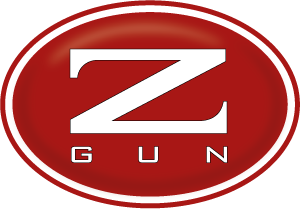 The range Pernice (partridge) is the most recent example of Zoli’s commitment to manufacture a new range of guns exclusively dedicated to hunting. Pernice was inspired by the most classical gunsmith tradition, reinterpreting the theme of the round body in particular. Since the beginning, Pernice has communicated a refined elegance and has managed to remain modern in spite of fashion evolution, fully expressing the tradition while combining its well-known aesthetic appeal with an evolved manufacturing technique. In the US, Pernice has been awarded Best Hunting Gun of the Year 2017 by Gray’s Sporting Journal. The engraving for Pernice round body was studied in cooperation with Bottega Incisioni, an active presence in the engraving art scene for more than 60 years and famous all over the world for its prestigious and refined work. The signature ‘Bottega Incisioni’ stands out on every Pernice action, to certify its authenticity. The engraving is initially machined, then entirely hand finished. It depicts a low relief ornate with some intertwined leaves of Acanthus Spinosus, a plant that has deeply cut leaves. Acanthus appears also in Greek architecture, ornating Corinthian columns, of which the oldest example is found in the Apollo Epicurus temple in Peloponnese. The engraving on Pernice is low relief in the darker areas, in order to make them stand out, complemented by the stipple technique (dots). A shadowing technique is applied to the leaves, to obtain the right amount of movement and volume. The leaves develop from a weave that stems from the stock towards the barrel, ideally following the typical shapes of a round body gun.